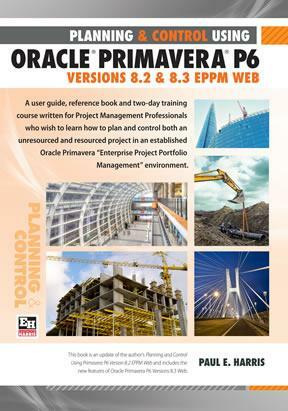 This book is an update of the author’s Planning and Control Using Primavera P6 Version 8.2 EPPM Web and includes the new features of Oracle Primavera P6 Versions 8.3 Web. It only covers the Primavera Versions 8.2 Web tool. It explains some of the differences from the Professional tool, SureTrak, P3, Microsoft Project and Asta Powerproject to assist people converting form other products.